President Abdul-Fattah Al-Sisi honors Dr. Ibrahim El-Sherbiny on the sidelines of the National Conference for Scientific Research. 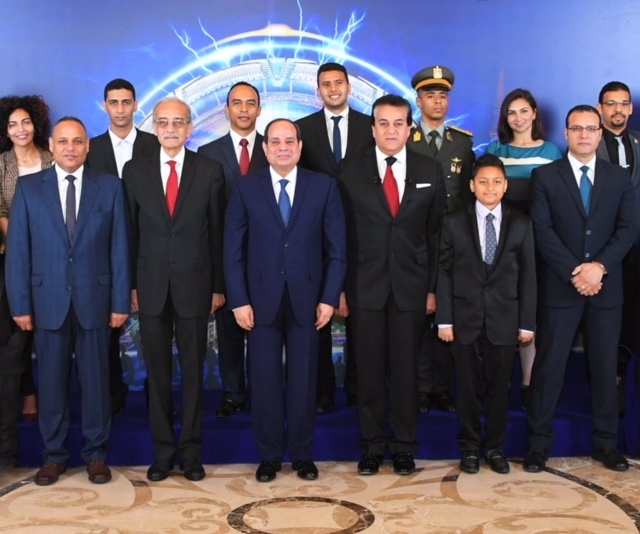 El-Sherbiny: Honorable and commemorative picture was honored with His Excellency President Abdel Fattah Al-Sisi. The conference emphasizes the support of the state and its recognition of the role of scientific research and its importance in the development of society, building a strong economy and achieving the objectives of the National Development Plan 2030. 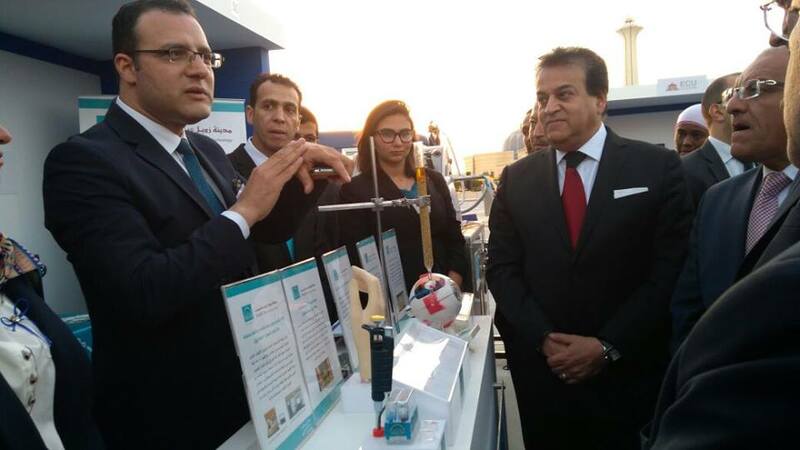 Dr. Ibrahim El-Sherbiny said: "I was honored and commemorate with President Abdel-Fattah Al-Sisi at this important national conference, which emphasizes the great interest of the State in innovation and the role played by scientific research in achieving the objectives of the National Plan for Development 2030, In line with the strategy of the state. " The rapid progress that the world is witnessing today has many reasons, with no doubt that scientific research is very important, and the leading international experiences in South Korea, China, and Malaysia underscore the need for developing countries to turn their attention to the role of education, scientific research, and innovation. Development and development. El-Sherbiny also stressed that Zewail City works as an integrated structure that attracts the talented and creative students, researchers and faculty members of Egypt and provides them with a hospitable and stimulating environment that enables them to direct their innovative energies to meet the strategic challenges of the state and society.